Subtitled: Complete History Of The Syn 1962-69. 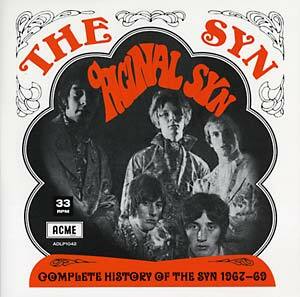 "Complete recordings (45s, acetate demos and other previously unreleased recordings) circa 1967-1969 by UK freakbeat/psych legends The Syn. 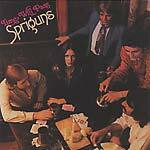 Featuring Chris Squire, who would later go on to form progressive rock legends Yes. 'From the band's own archives comes this collection of all the 45s, plus demos and outtakes from this legendary UK psych band's short career. Housed in a superb colour gatefold sleeve, and comes packed full of rare, previously unseen photographs. The cover art utilizes one of the Syn's rarest releases, as it is taken from an EP released only in France! If you're reading this, I suppose that two of the most authentic psychedelic freakbeat tracks ever recorded, 'Grounded' and '14 Hour Technicolour Dream', need no introduction here, as well as the Who-ish 'Created By Clive' and 'Flowerman'. Pretty much essential 1960s UK psychedelia. A limited edition (DMM) direct metal mastering pressing on only 1000 copies.'"